Amy Sussman /AP Images for Seventh GenerationEarly in his career, Deepak Chopra got kicked out his post-graduate research lab. Can you pinpoint a single decision that affected your entire career? What about an event that changed everything about how you would face the future? In this package, over 60 thought leaders shared original posts about how their careers might have turned out differently had they made different choices. Within this, several reflected on the one moment that changed their career forever. Former Bank of America wealth management president Sallie Krawcheck couldn’t get a job in journalism. Krawcheck studied journalism at the University of North Carolina at Chapel Hill, and planned to enter the field after working on Wall Street and getting her MBA. Unfortunately, Time Magazine rescinded the internship offer it had made to her because it hired too many people, and the job she wanted to take at Disney would have required her to leave her husband in New York and move to Los Angeles. Instead, she became a stay-at-home mum, before realising that what she should really do is become a research equity analyst. The position combined the skills she’d learned on Wall Street with the love for writing that compelled her to study journalism. Business InsiderFormer Bank of America wealth management president Sallie Krawcheck. Ebay CEO John Donahoe studied the career of former Quaker Oats exec Kenneth Mason. Yahoo chairman Maynard Webb got an internship as a security guard at IBM. Webb was studying criminal justice in Florida with the hopes of becoming a lawyer or police detective. That’s when he was offered a paid internship as a security guard at IBM, a gig that would change the trajectory of his life. Webb soon started climbing the company ladder due to his willingness to take on new projects and his ability to solve difficult problems. “I stayed for the next 11 years and IBM introduced me to my wife, taught me about managing people and inspired me about the power of technology,” he writes. Television host Suze Orman lost $US50,000. Before becoming a personal finance guru, Orman dreamt of opening a neighbourhood hot tub cafe — a goal she often shared with coworkers and customers in the bakery where she worked after college. One day, a generous customer left her a $US50,000 tip in hopes of helping her make her dream come true. However, Orman knew nothing about saving and investing, and eventually her donation dwindled to $US0, leaving her with no money and no viable business. “It was a very painful lesson in not being informed and trusting people to be honest,” she says. “But the experience ignited an interest in investing. So I decided I would try to become a broker too.” As she worked toward this new career path, Orman not only earned her $US50,000 back, but discovered her passion for helping others manage their money as well. AP Photo/Matt SaylesPersonal finance guru Suze Orman. 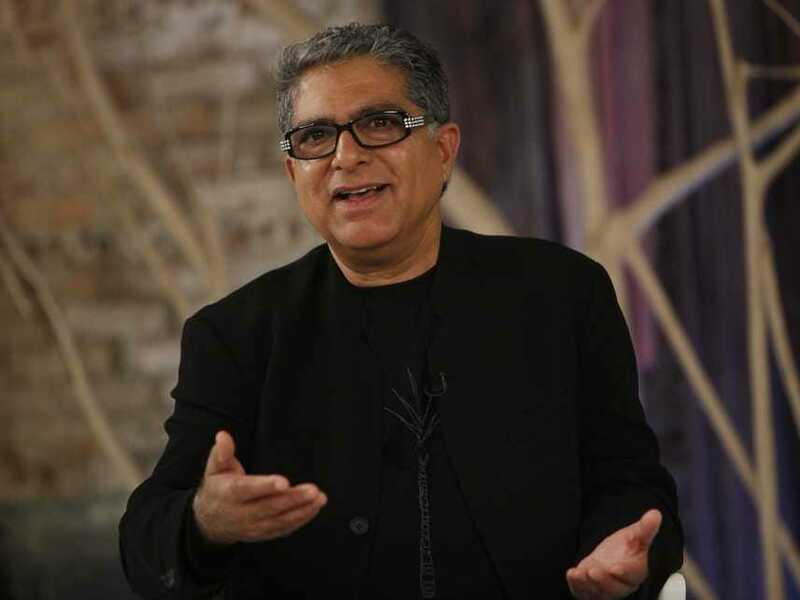 Deepak Chopra got kicked out of his post-graduate research lab. The internationally famous doctor planned to go into research rather than dealing directly with patients when he first started his career. That changed one day during his time doing lab work at Tufts University, when an adviser’s attempt to humiliate him in front of other students caused Chopra to lose his temper and dump a folder’s worth of papers on the adviser’s head. As a result of his outburst, Chopra had to go work in a suburban Boston emergency room, which made him more interested in patients. This would ultimately lead him down his path of becoming one of the world’s leading advocates for alternative medicine. It also taught him a lesson about the importance of being self-aware. “I rescued my medical career, I became more interested in patients, and a decade later I began to see that self-awareness was an important component in my life — and everyone else’s who wants to recover from a state where anger, fear, doubt, outworn conditioning, and scars from the past occupy the mind at will,” he writes. 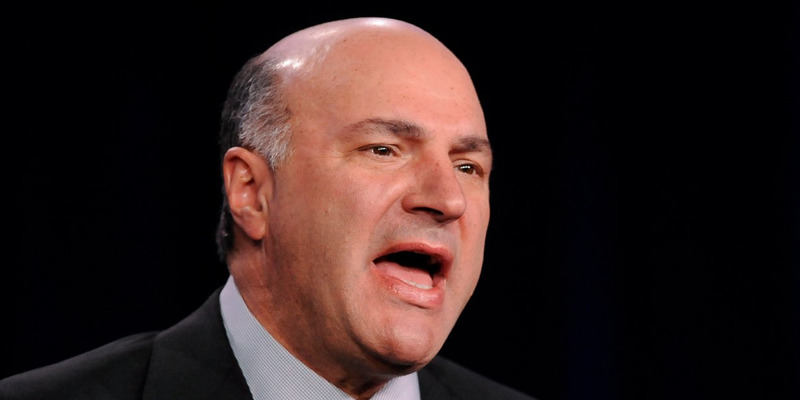 ‘Shark Tank’ Shark Kevin O’Leary was fired from an ice cream shop. On his second day as a scooper for a local ice cream parlor, 16-year-old O’Leary refused to scrape gum off the floor at his manager’s request, instead telling her, “That’s not my job.” He was immediately fired and arrived home in tears, much to the dismay of his parents. “You were hired not just to serve customers, but to serve the person who owns the business, whether you like that person or not,” his stepdad reminded, though it was a tough pill for O’Leary to swallow. But in that moment, O’Leary experienced two major epiphanies — first, that in business, you’re always serving someone, whether it’s your boss, your customers, or your shareholders. And second, he decided that he wanted to be his own boss no matter what, a realisation that pushed him into entrepreneurship for good. REUTERS/ Gus RuelasCanadian entrepreneur and investor Kevin O’Leary. General Electric chief marketing officer Beth Comstock was told to be more confident. During the early part of her career, Comstock struggled with self-confidence, a problem that expressed itself when she would fail to speak up in meetings or choose not to apply to internal positions she wanted to be considered for. In recent years, Comstock has learned to trust her instincts by pushing herself to contribute when she has something important to say and allowing her curiosity to guide her in whatever she does.